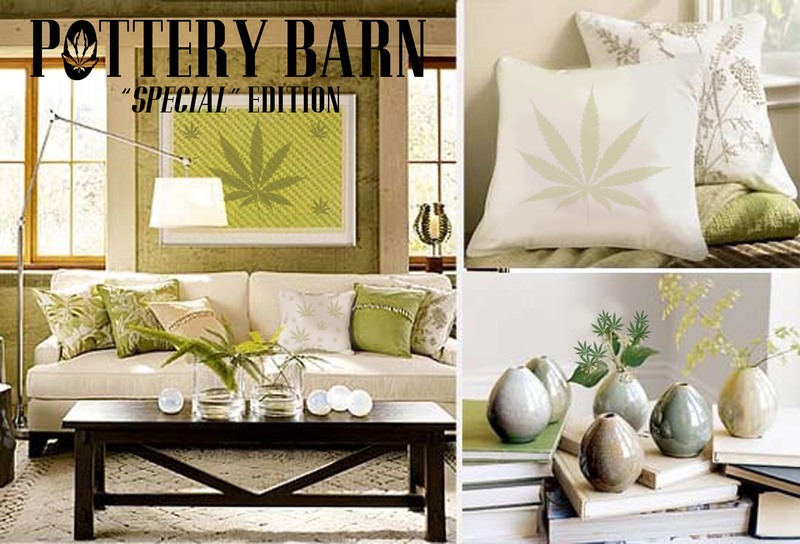 Check out this month’s Pottery Barn: Special Edition. Brought to you by: The Bob Marley Foundation, Celebrity Rehab, Amsterdam, and drug lords everywhere. A new twist on the classic potluck dinner: a touch of pot makes every dish special. DIY: Grow it at home, we suggest in a barn. Pot and Pans: bowls for every occasion – soup bowls, mixing bowls, smoking bowls. Get stoned: granite and marble are too traditional.